Look for for most current additions. Website with information, pictures and hundreds of shipmates listed. U.S.S. Forrestal Forrestal Assn. membership required to enter. Website dedicated to the: U.S.S. Shangri La . All former crewmembers, including airwing squadrons and Marine detachments, of the USS Franklin D. Roosevelt CVB, CVA, CV-42, please check out our website at: www.ussfdrcv42reunion.com. We are always looking for former shipmates. Lots of photos and information related to the USS Franklin D. Roosevelt, including photos of squadrons & ships. Larry Blumenthal's website: www.usnavyphotos.com -Site has new videos of cruises. A new site being developed by Larry Blumenthal: www.ussfranklindroosevelt.com-all about the USS Franklin D. Roosevelt and her squadrons. Website for the U.S.S. Independence CV-62 Includes reunion information, pictures, and much more. Website for the: U.S.S. 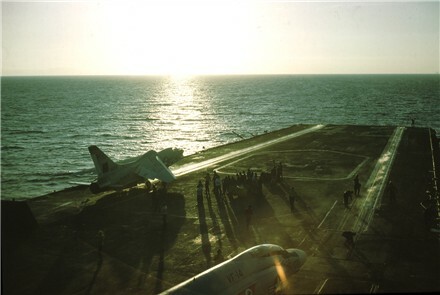 Enterprise CVA-65 Includes reunion information, pictures, and much more. Story of former VFP-63 RF-8 Pilot A POW for 7 years in Vietnam. For edge-of-your-seat air-to-air stories.The Crusader in Cuba and Vietnam. Also see "Vietnam Operations" and "Cuban Missile Crisis" this site. 2011 will be the 100th. anniversary of Naval Aviation. 3/26/09: Adobe (.pdf) format--Naval History and Heritage Command---Enormous amount of material resources. Web Site for NAS Pensacola's : - National Museum of Naval Aviation: A "must see" for naval aviation enthusiasts. This extensive site is dedicated to our: "Heavy Photo" brothers, VAP-61&62 An extremely well done site. Mobile AL: Battleship Park VFP-62 RF-8 BuNo 145645 has been restored and is exhibited along with show cases of VFP-62 memorabilia. Air museum where RF-8 Bu.No. 145607 will be restored as either VFP-206, VFP-62, or VFP-63: Castle Air Museum Atwater, CA -Also see "We Love Crusaders" for more information. Wings of Freedom Aviation Museum at: www.dvhaa.org Willow Grove NAS JRB, Pa. Starting from a ruin filled with concrete, the Pacific Coast Air Museum created a very nice F8 restoration. This Crusader had probably been seen by millions and crawled on by thousands of kids. During its assignment to a public park it received so much use next to a busy San Francisco street, it finally wore out after 20 years. It is now on static display in Santa Rosa, California. From the picture of the restoration, I'll guess this famous Bay Area Crusader is an F8C. • Osprey Combat Aircraft / Peter Mersky (see "Vietnam Operations"
The Webmaster thanks Dave Johnson, a former F8 driver, who at the very beginning of this project, provided invaluable information on HTML and Web design, motivation, and by his example, (see Gunfighter's link above), led us to the development of the site. The late John Sees, PH2: Photos for "Faces of VFP-62;" USS Forrestal; & Cecil Field; A Stories for "Sea Stories" Also, John provided a VFP-62 Christmas Card every year. Finally, we appreciate all of the former VFP-62 crew members who have contributed photos, stories, and guest log messages to enhance our site. There are too many to mention specifically and we thank them all.